Naser Orić is a former Bosnian military officer who commanded Army of the Republic of Bosnia and Herzegovina (ARBiH) forces in the Srebrenica enclave in eastern Bosnia surrounded by Bosnian Serb forces, during the Bosnian War. United Nations Security Council resolution 819, adopted unanimously on 16 April 1993, after reaffirming resolutions 713 (1991) and all (1992) subsequent resolutions, the Council expressed concern at the actions of Bosnian Serb paramilitary units in towns and villages in eastern Bosnia and Herzegovina, including attacks on civilians, the United Nations Protection Force and disruption to humanitarian aid convoys. The Siege of Srebrenica was a three-year siege of the town of Srebrenica in eastern Bosnia and Herzegovina which lasted from April 1992 to July 1995 during the Bosnian War. Initially assaulted by the Yugoslav People's Army (JNA) and the Serbian Volunteer Guard (SDG), the town was encircled by the Army of Republika Srpska (VRS) in May 1992, starting a brutal siege which was to last for the majority of the Bosnian War. In June 1995, the commander of the Army of the Republic of Bosnia and Herzegovina (ARBiH) in the enclave, Naser Orić, left Srebrenica and fled to the town of Tuzla. He was subsequently replaced by his deputy, Major Ramiz Bećirović. United Nations Security Council resolution 824, adopted unanimously on 6 May 1993, after considering a report by the Secretary-General Boutros Boutros-Ghali pursuant to Resolution 819 (1993), the Council discussed the treatment of certain towns and surroundings as "safe areas" in Bosnia and Herzegovina. United Nations Security Council resolution 913 was adopted unanimously on 22 April 1994, after reaffirming all resolutions on the situation in Bosnia and Herzegovina and also Resolution 908 (1994). The Council discussed the situation in the safe area of Goražde and a settlement of the conflict. United Nations Security Council resolution 1004, adopted unanimously on 12 July 1995, after recalling all resolutions on the situation in the former Yugoslavia, the Council, acting under Chapter VII of the United Nations Charter, demanded that Bosnian Serb forces withdraw from the safe area of Srebrenica in Bosnia and Herzegovina and respect the safety of personnel from the United Nations Protection Force (UNPROFOR). 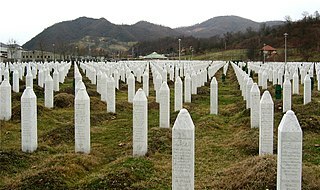 The resolution was passed during the Srebrenica massacre. 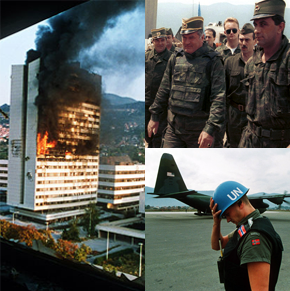 United Nations Security Council resolution 1034, adopted unanimously on 21 December 1995, after recalling previous resolutions including Resolution 1019 (1995), the Council discussed violations of international humanitarian law in the former Yugoslavia, specifically in Bosnia and Herzegovina. The Vance plan was a peace plan negotiated by the former United States Secretary of State Cyrus Vance in November 1991 during the Croatian War of Independence. At that time, Vance was the Special Envoy of the Secretary-General of the United Nations; he was assisted by United States diplomat Herbert Okun during the negotiations. 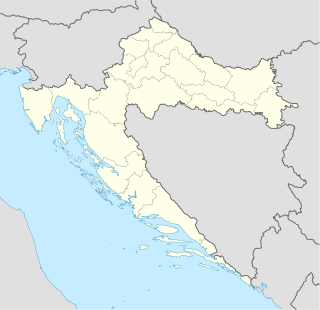 The plan was designed to implement a ceasefire, demilitarize parts of Croatia that were under the control of Croatian Serbs and the Yugoslav People's Army (JNA), allow the return of refugees, and create favourable conditions for negotiations on a permanent political settlement of the conflict resulting from the breakup of Yugoslavia. Operation Backstop was a United Nations Protection Force (UNPROFOR) military plan designed to guard a portion of the United Nations Protected Areas (UNPAs) against attack by the Croatian Army during the Croatian War of Independence. The operation, developed by the UNPROFOR staff in charge of the UNPA Western Slavonia in 1992, was scheduled to be implemented by two mechanised companies of the Princess Patricia's Canadian Light Infantry (PPCLI) battalion deployed in the area.